A child abuse detective was summoned to investigate Nicolas Cage on the night of his arrest. This after a witness told police he saw Cage pull his 5-year-old son to the ground during an alcohol-fueled argument with his wife – according to the New Orleans PD. According to the police report, Cage’s wife Alice told police she and Nicholas had been arguing on the night of April 15 “due to his intoxicated state” when they went to pick up their son from a friend’s house. At that time wife Alice was in the driver’s seat. According to the report, “A child abuse detective was notified.” Cops say they wanted to interview Cage’s son but Alice wouldn’t let that happen. As for Cage, cops described him as “hysterical” and “irrational” when they interviewed him after the incident. Cage was eventually arrested for domestic abuse and disturbing the peace after he allegedly grabbed his wife earlier in the evening. Nicolas Cage’s Son Weston to Marry! Nicolas Cage : What are you doing in my House? 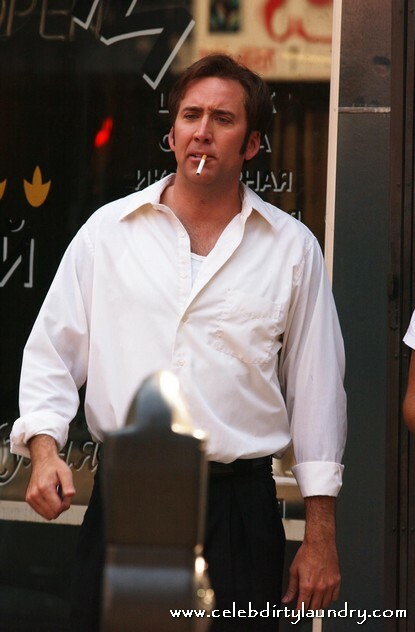 Nicolas Cage – Not such a NICE Guy! Nicolas Cage Owes Uncle Sam A Lot Of Money!